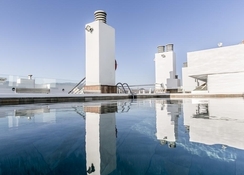 Cantur City Hotel is a luxury family friendly hotel located on the narrowest part of Isthimus in Las Palmas, close to the famed beaches of Las Canteras and Confital (Blue Flag). Just 100m from the beach, this hotel has comfortable guestrooms furnished with contemporary décor. 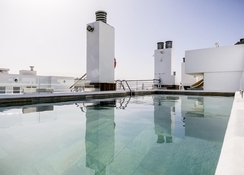 The hotel also features a terrace with pools and sun loungers for kids and adults and a lovely roof terrace with a bar that treats guests to lively music during Fridays and Saturdays. The air-conditioned guestrooms come with modern furniture, safe, bathtubs and minibar. There are excellent views of the sea from the windows. The hotel is located 100m from Las Canteras, a long sandy beach. It is about 20km from the nearest city of Telde. 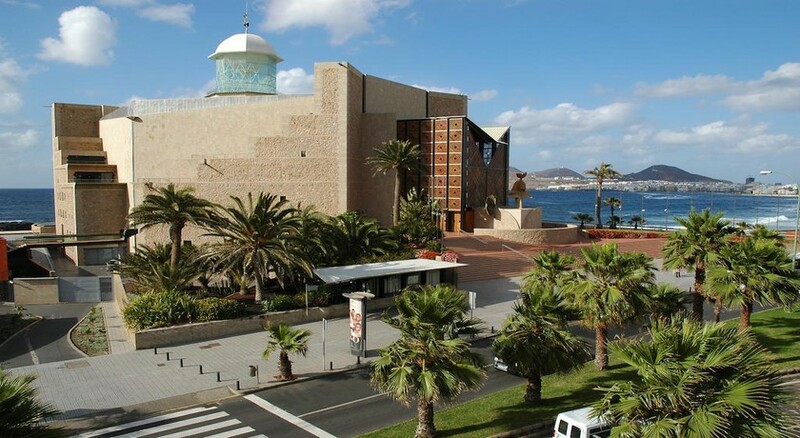 The Cathedral of Santa Ana lies 6.5km from the property, whereas the Aqualand Maspalomas theme park is 60km. There are several cafes, restaurants & bars, including gay-friendly bars near the hotel. The Gran Canaria Airport is about 26km from the hotel. 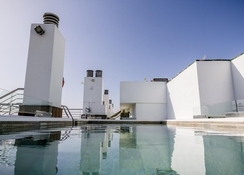 The air-conditioned guestrooms at Cantur City Hotel offer brilliant panoramic views of Las Canteras. The spacious rooms with contemporary décor come with parquet floor, pillow menu, telephone, minibar, workstation, armchair, table, safe and free Wi-Fi. They also have a marble bathroom with hairdryer and other amenities. Guests can choose from executive rooms, junior suites and presidential suites. The hotel has a buffet breakfast spread for guests while lunch and dinner is at the Gauguin air conditioned restaurant. It also offers al fresco dining at its terrace with panoramic views. 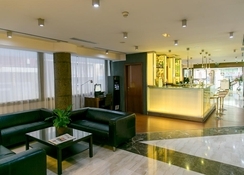 The Lobby Bar is a good place to relax with your drinks. Room service, including sushi on order, is available. The roof terrace serves drinks and cocktails with live music shows on Fridays and Saturdays. Cantur City Hotel has a heated swimming pool with a separate children's pool and pool bar. There are sunshades and sunbeds available free at the pool and can be rented for a small amount. There are relaxation services such as massages, sauna and solarium. For those who wish to stay active, there is a fully-equipped gym. The Roof Terrace Club on the eight floor is equipped with a Balinese bed, armchairs and hammocks and comes alive on Friday and Saturday evening with an array of local bands and DJs. Hotel was lovely and clean. Pool was a bit too cold but the jacuzzi was nice. Would be nice as well if the bar was opened at night so you could sit up on the roof. The food was basic but nice enough. Really close to the beach and shops. All in all a nice cheap holiday, value for money.